Following a vote count Friday, Councilwoman Caren Ray increased her lead both by percentage and vote differential over incumbent Mayor Jim Hill in the race for the Arroyo Grande mayor’s seat. Ray now leads Hill 52.82 percent to 47.18 percent. A total of 391 votes separate Ray and Hill, with thus far, Ray having received 3,658 and Hill having garnered 3,267. At the conclusion of election night, 238 votes separated Ray and Hill. In SLO County’s other close mayor’s race, the lead also widened. Councilman John Headding now leads businessman John Weiss 52.09 percent to 47.91 percent. The vote differential in the Morro Bay race widened from 101 votes to 188 votes. Following Friday’s count, Headding has received 2,344 votes to Weiss’s 2,156. Meanwhile, SLO County Clerk-Recorder Tommy Gong’s office made an error that, if confirmed, will require a redo of the entire Los Osos CSD election. Gong office miscategorized one of the three seats that were up for grabs on the Los Osos CSD board. One of the seats was categorized as a seat coming with a two-year term, when it was earlier described correctly as having a four-year term. Appointed incumbent Christine Womack ran unopposed for the two-year seat. Womack replaced a CSD director who stepped down after serving for more than two years. If an appointee fills the place of a board member who served more than two years, then the appointed member’s seat goes up for election for a full four-year term. The seat goes up for just a two-year term in the case that the board member who stepped down served less than half of his term. If the Los Osos ballot mistake is formally confirmed, the CSD will have to hold a special election. The race would then reopen to all candidates and consist of competition to fill three seats on the board with four-year terms. One of the candidates in the Los Osos CSD race, Stephen Best, alleges the apparent mistake actually amounts to voter manipulation and corruption. Best, who is currently on the outside looking in, trailing the CSD candidate in second place by one percentage point, said no matter the outcome of the election, he will file a complaint with the district attorney’s office. 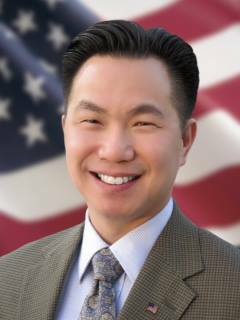 Gong says there was no conspiracy or wrongdoing in the Los Osos CSD election, just a mistake. Does this mean we can dissolve the disfuntional Los Osos CSD? They’ll have no legal quorum to do any business with this screw up! Don’t they say that “mistakes” are often heaven sent. Just sayin..
Give control back to the county and they may be able to fill a few of the car sized potholes that plague the town since the 1970’s. We are well aware Tommy Gong has his own set rules he follows. Mistakes happen all the time, but this “mistake” is gonna be time consuming. The election was 6 days ago…I smell incompetence to the extreme….Hurricane ravaged communities have turned in their votes counted and sealed and here under the beautiful central coast skies we can’t get it done…we are as bad as Broward county Florida…. It is unfortunate that a mistake was made; however, let us not over analyze the situation. A mistake is a mistake. If this were such a notable mistake it would have been caught long before the balloting even began. Elections are very difficult to administer. Idiocies are added all the time by politicians that want to “correct” some perceived flaw. Past practice was to send a copy of the galley proof to the governing bodies of each jurisdiction prior to the ballots being printed. If this practice was followed where were the General Manager and District Legal Counsel of Los Osos community Services District as far as their responsibility to proof the ballot material that was to be distributed to their constituents. I commend Mr. Gong for his willingness to take responsibility without blaming others. There’s a problem with Gong’s solution in that the three current terms expire on December 7th — leaving the district with no quorum. Wouldn’t a more prudent approach be to certify the two seats that were won fair and square and put the subject seat out for the redo? I don’t believe that this is “Gong’s solution”. Whatever fix is determined it will be after considerable evaluation with legal counsel. Julie, while your suggestion may be expedient, it may not be legal. What you suggest may make a bad situation worse. What I don’t think is understood, if a member of a governing body is seated improperly and that is later challenged in court and upheld any action voted on by that member will be vacated, if that improperly seated member voted as the majority then the entire action is vacated. If this is not handled correctly there is great potential for chaos. We have Facebook, Facetime, Icloud storage, electronic banking from the versateller to your virtual teller on you cell phone BUT we still have debatable election rules and great difficulty getting the count in on time. Maybe absentee ballots need to be received by a certain date so that they can be added to the pole cutoff. I wonder who will pay for a special election due to a ‘mistake’. What is there to “wonder” ?? These are ALL government agencies so the ratepayers are the ones who pay, be it LO-specific ratepayers or SLO County in general ratepayers. It’s ALWAYS the ratepayers who pay, one way or another.